Paideia Classical Christian School in Gladstone, Oregon is seeking teachers for the positions listed below. Ideal candidates will be Christians with lives transformed by the Word of God and have experience teaching using the Classical method. Paideia is a quickly growing half-day school (8:00 a.m. – 12:15 p.m., Monday-Friday) with approximately 150 students in grades K-11th. 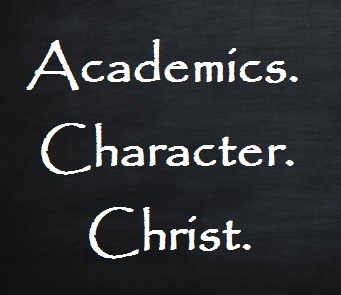 We seek to cultivate wisdom, virtue, and godliness in our students, to assist Christian parents in their responsibility to bring up their children in the nurture and admonition of the Lord, and at the same time, to provide rewarding employment for the Christian teachers and staff who make this possible. One way you can easily help our school is by purchasing gift cards for your regular monthly shopping from our Scrip program. Vendors like Fred Meyer, Safeway, Burgerville, Starbucks, Old Navy, and Target (the list goes on and on!) will donate a percentage of the gift card price to Paideia. Go here to the Scrip website, and look for the “Personal Order Form” on the right sidebar. Checks should be made out to Paideia Classical Christian School. Gift cards ordered will be available for pickup by the end of the school day (noon) on the following Friday. Please ask admin Brenda Kulbe (paideiaoffice@gmail.com) to see when the next Scrip order is due. Thanks!